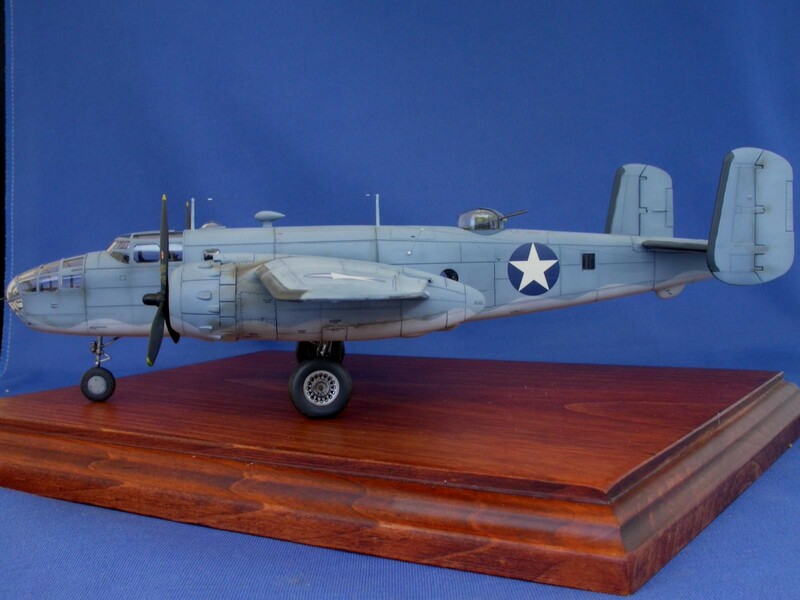 this is the new Airfix B-25C/D. 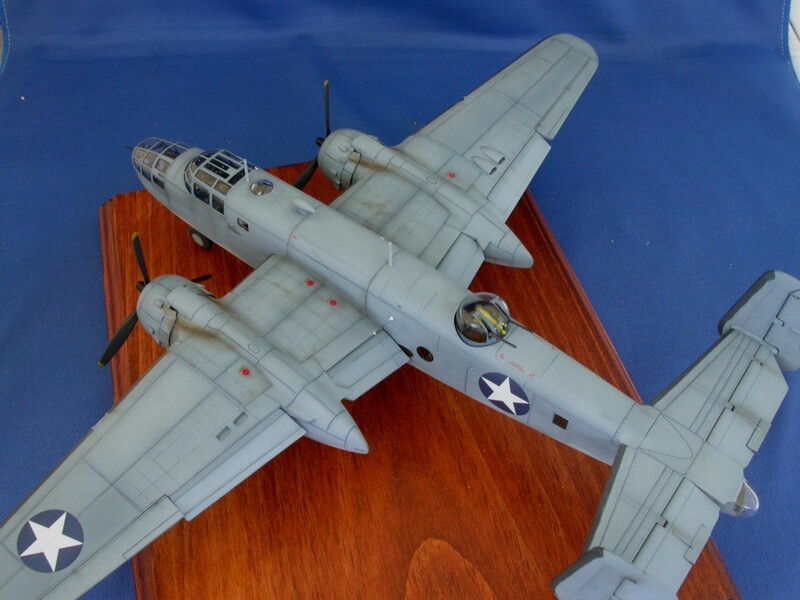 the early Mitchell in 1:72 scale has been one of my “holy grail” kits for a long time. 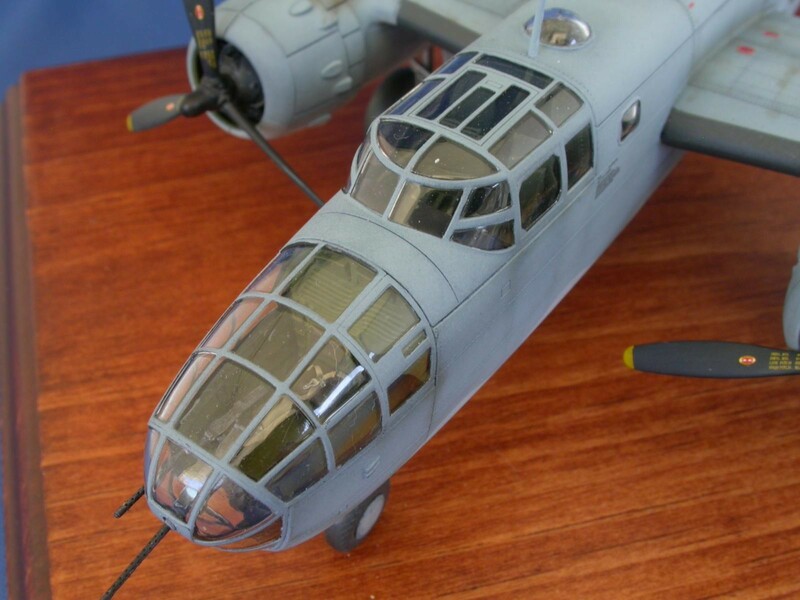 Airfix finally answered my prayers earlier this year with this release. fit and detail parts are excellent. 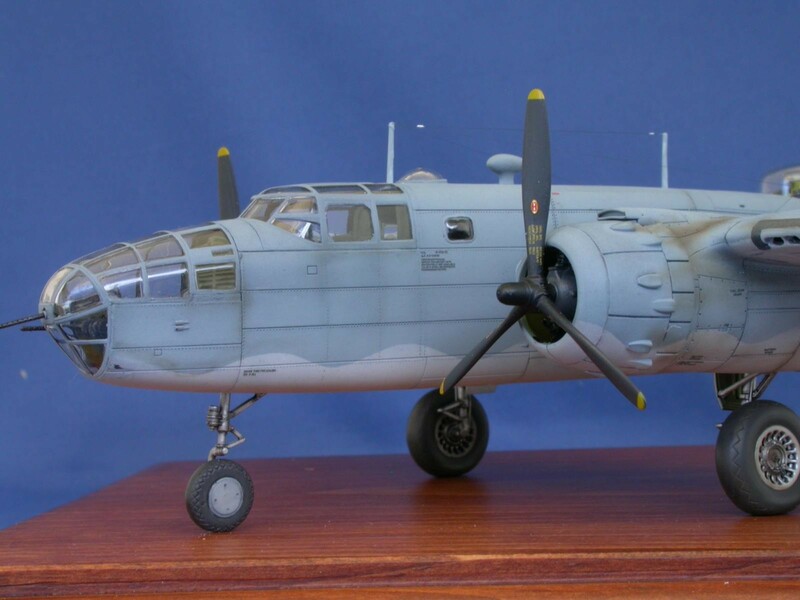 I think Airfix captured the look of the early mitchell very well, especially in the nose area. i only added a few additions, some work on the pilot/co-pilots seats, Eduard seat belts, Quickboost MG barrels, and small details to the Main landing gear and wheels. Decals are from the kit. 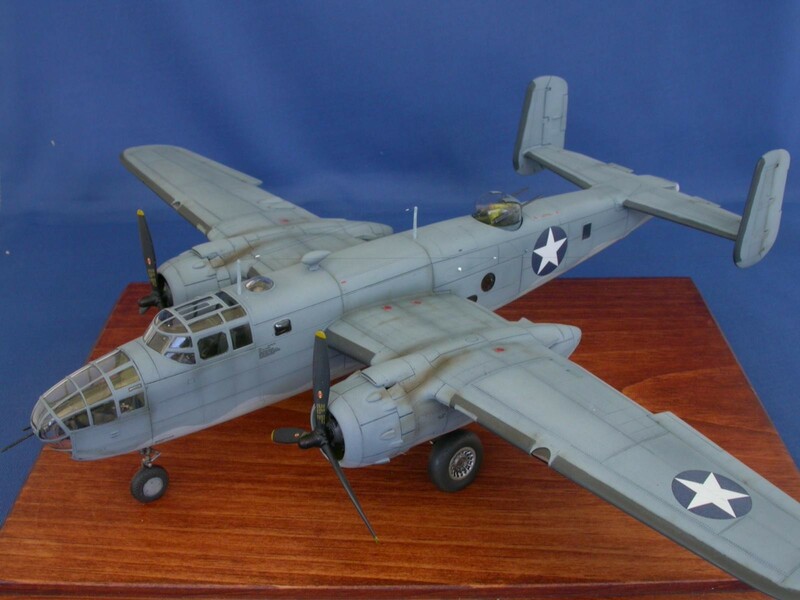 markings are very generic, depicting a USMC PBJ-1C/D as they appeared in 1943 as they were delivered to the Marine corp training squadron. 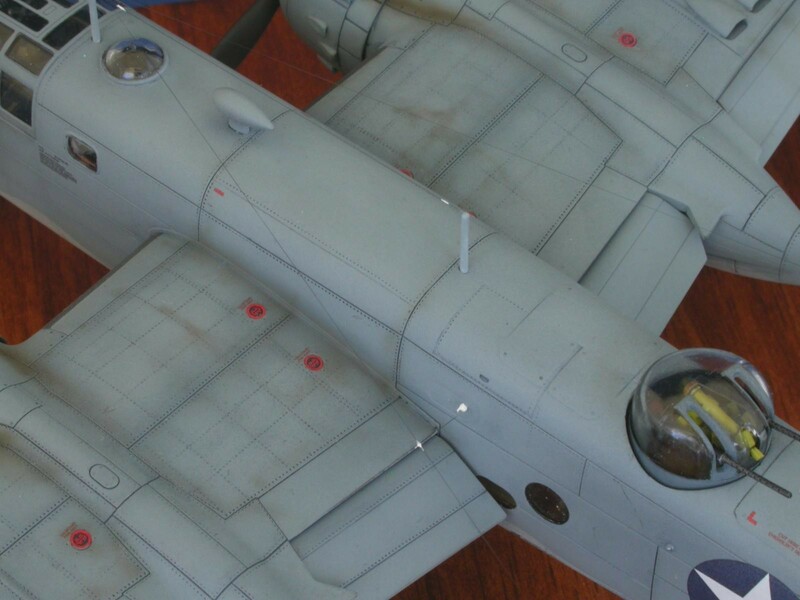 no modifications had been preformed, i.e., added radar or rear gunner’s position. Lovely work, as always, Roger. 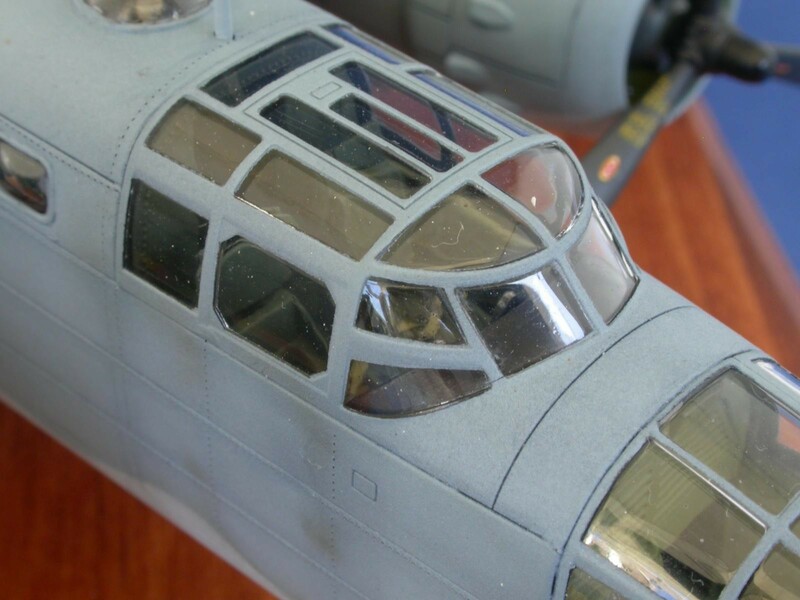 Wonderful finish and the crispness of the canopy–especially in 1/72–is a fine thing indeed. Exactly what I was gonna say… (especially with no canopy masks). I figured you did, by man oh man, you know how to use your tools. Beautiful work, Roger! The canopies are so sharp! 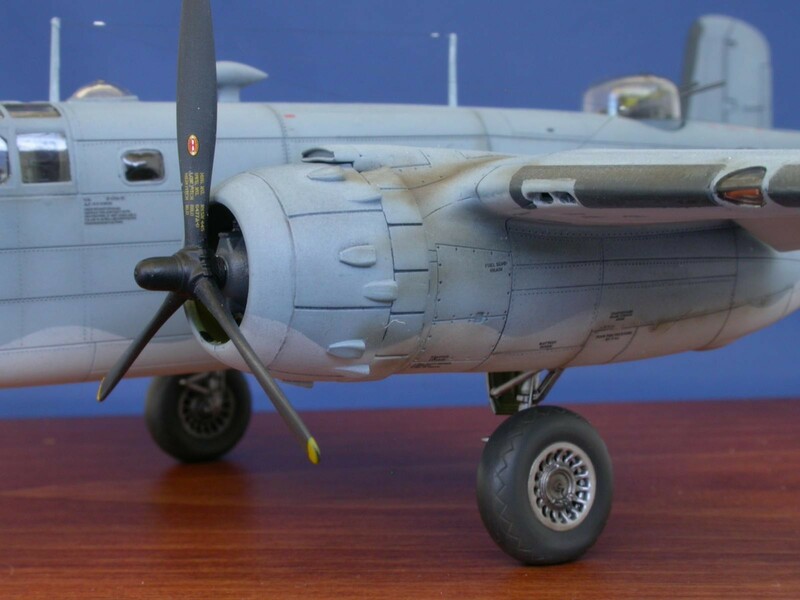 The paint job is subtle – the weathering looks believable, and the balance of the plane itself looks perfect. Well done! 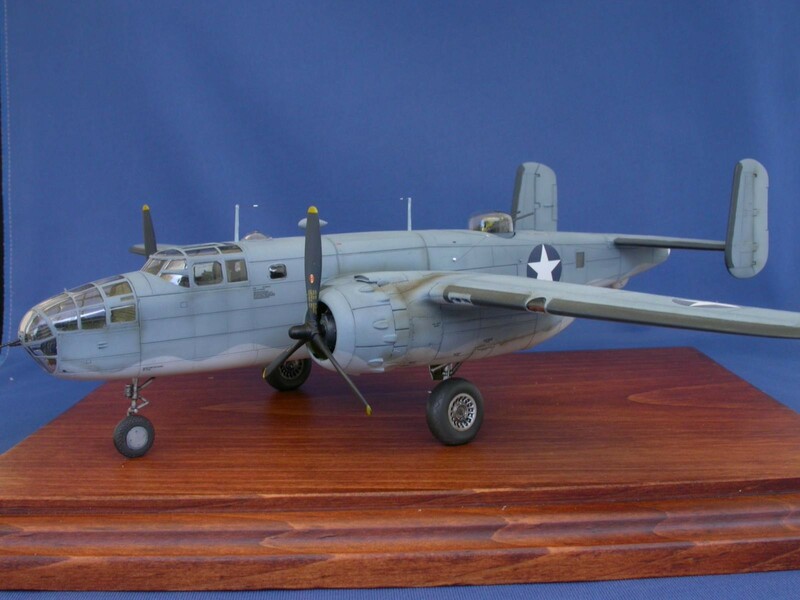 Nicely done Roger, one of my favorites,or for that matter any version of the B-25. Great work! looks good in that color scheme. WOW, you motivated me to really want to build this model now! You did an awesome job; perfection. 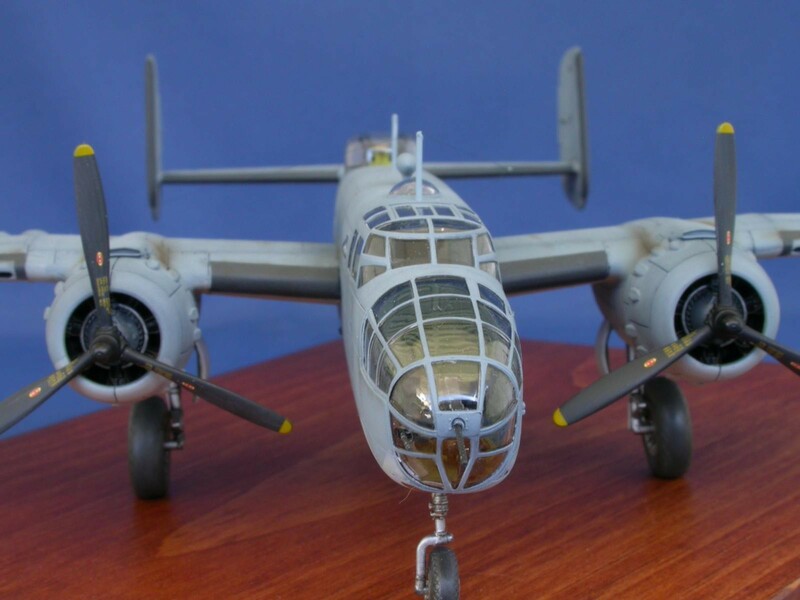 I am so happy u did this USMC scheme; its my favorite look for the B-25. Tired of the Army OD. Looks like mission models did a great job with the Blue-Grey mix. It is the exact color I was looking for with my recent SBD. Ended up needing to mix my own b/c several companies I ordered from including Vallejo got it totally wrong! You paint work and weathering is awesome, realistic yet not over-done. Looks bigger then 1/72 b/c of your superb finishing skills. I need to order this now! Sorry, but I will need to do the same scheme. 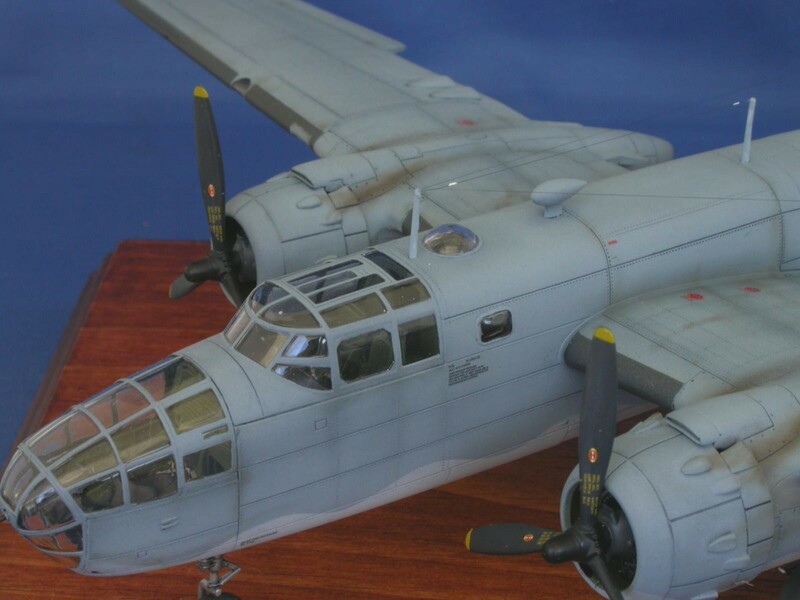 Roger, This looks great, and I’m very impressed with your overall build and am also impressed with what looks like an excellent kit that Airfix as created. Thanks for sharing and Well done ! Very impressive. I think I’d go cross-eyed even attempting that level of fit and finish in 1/72 scale. Exquisite, everything is subtle and not over stated and the build works. A typical Roger Fabrocini build. Another strong candidate for model of the month. How I pity the Judges, any choice they make will be the wrong choice, all of the candidates will be strong winners. A classic Catch-22 and where not even half way through the month. Two thumbs up Roger, whistling from the nose bleed seats in the stadium of modeling envy. Beautiful work. I can see Kirk Douglas from ‘In Harms Way’ at the controls. Very, very nice work, painted in a very appealing scheme, one which I associate with some USMC fighters and Dive bombers.